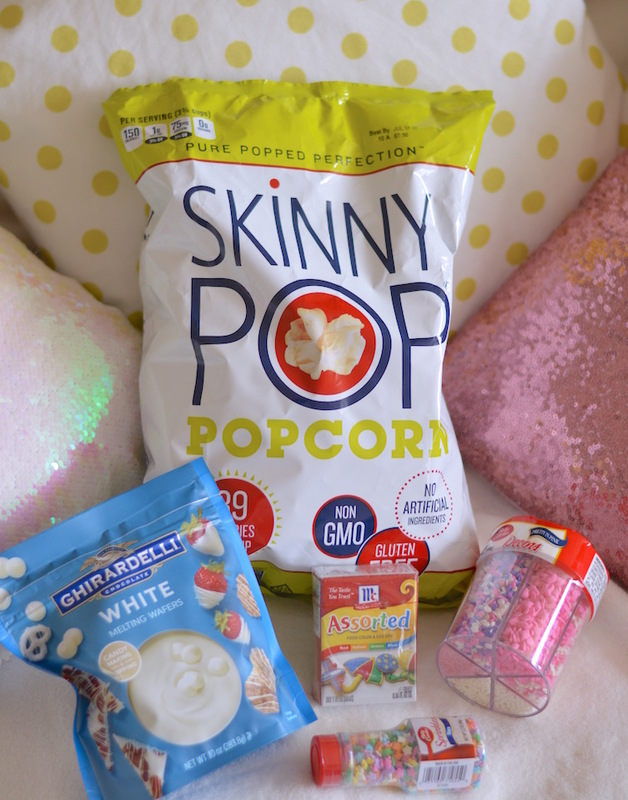 SkinnyPop has been my favorite snack choice or a while now– I mean, when the word “skinny” is in the name…now combine it with the unicorn food craze, and voila, unicorn popcorn because YASS. 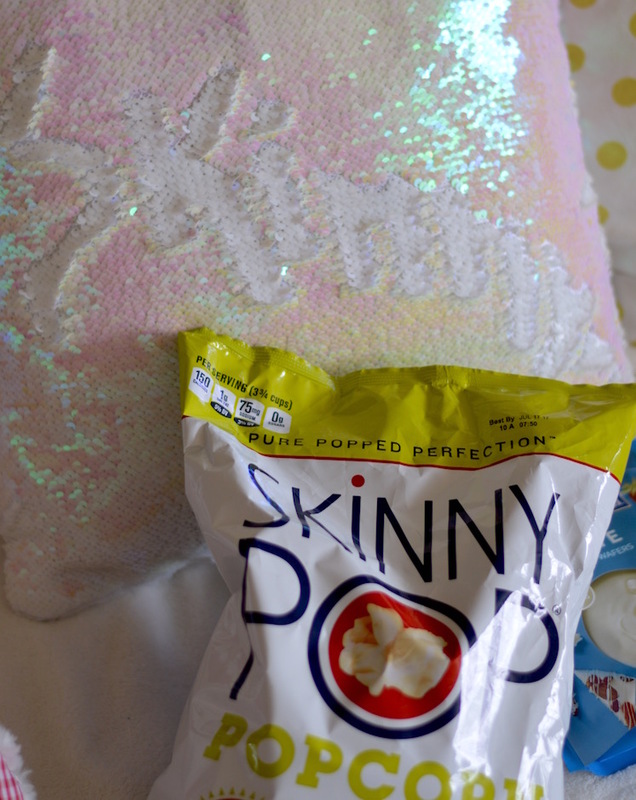 Non-unicornified SkinnyPop is a go-to for feeling better (curl into bed with the whole bag and put on Gossip Girl..), so give it a chocolatey, colorful unicorn twist, and bam, so much happiness. 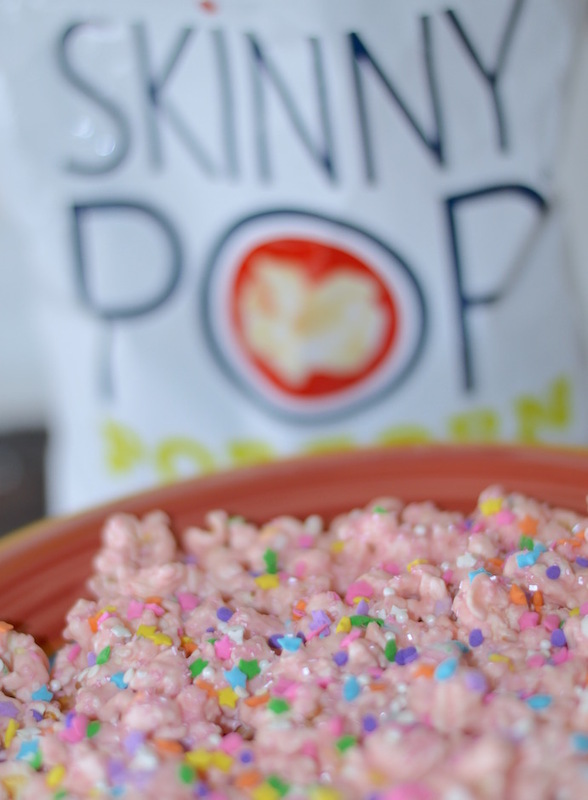 A perfect spring snack. I think I made extra work for myself when creating this unicorn pop, and the steps can definitely be tweaked. 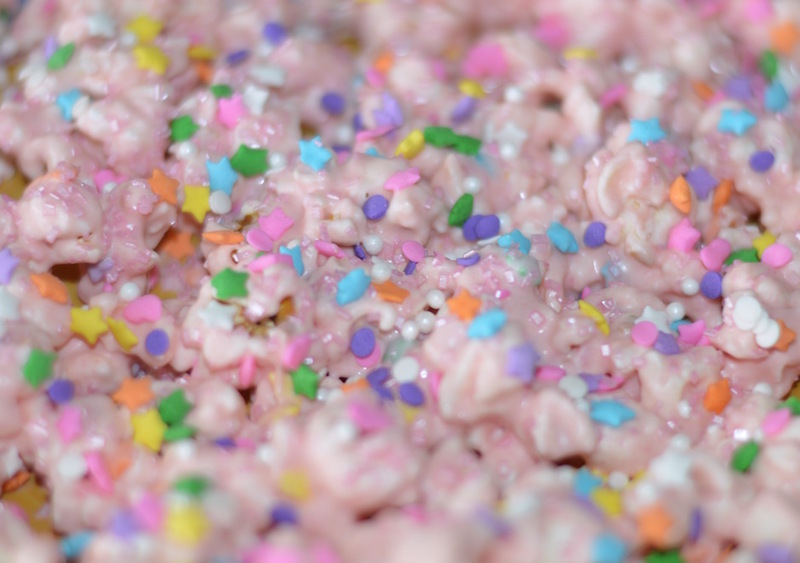 For starters, I chose white (Ghirardelli) melting chocolate wafers to add the food coloring to, but you could just find pink and purple chocolate to begin with (Wilton candy melts). 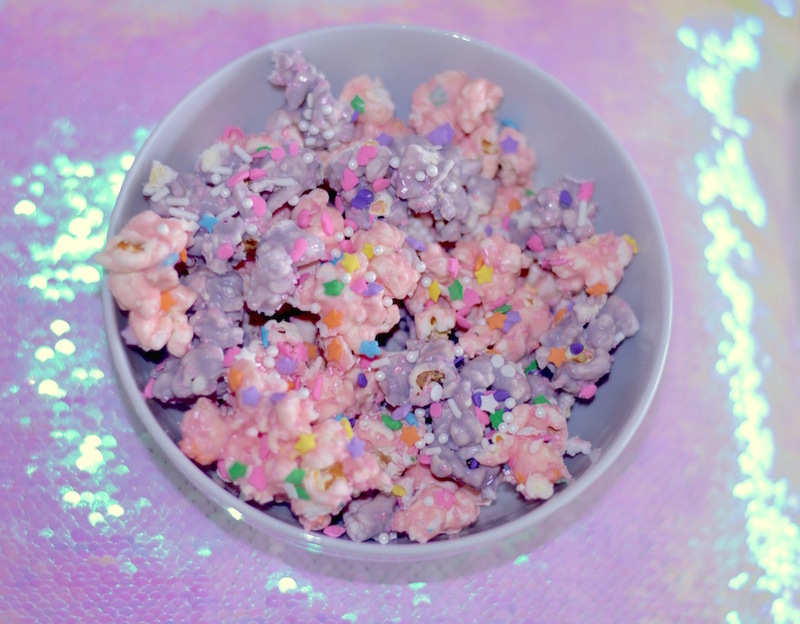 I also had to mix the red and blue food coloring to achieve the purple (which could stand to be more vibrant), but since dying Easter eggs is a thing, it’s totally possible to find pre-made neon colors of pink and purple. 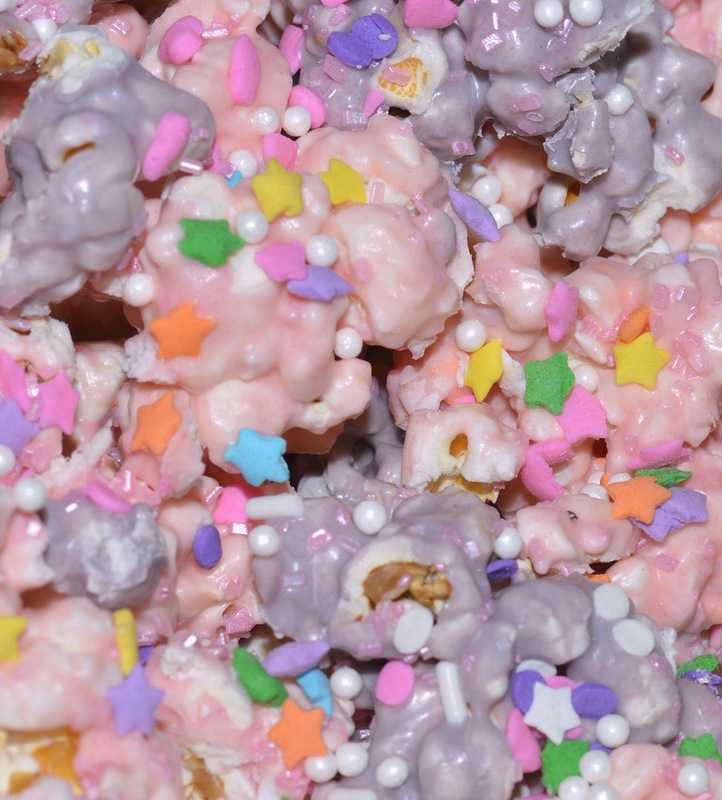 The coating of sprinkles is the best part. 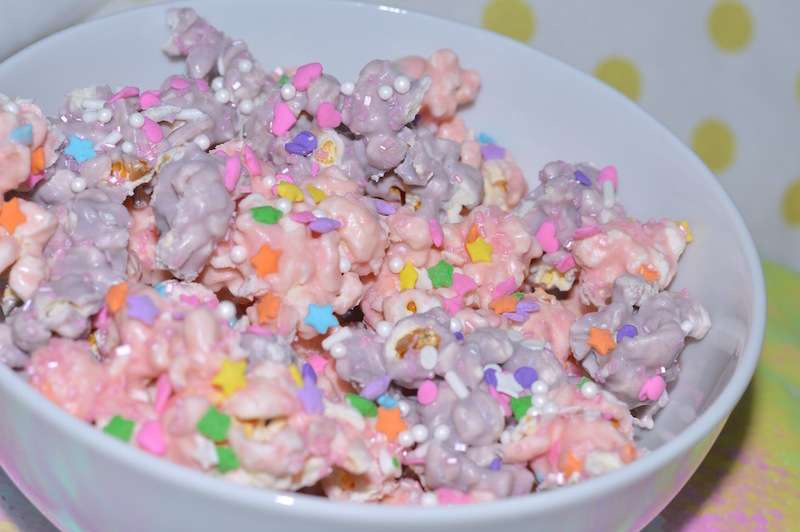 Choose whichever colors and styles you want to make your popcorn sparkle. 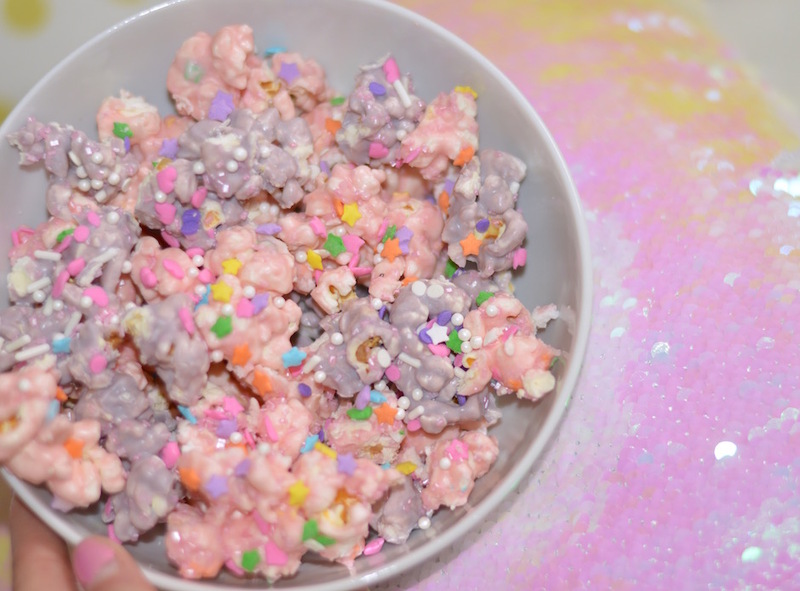 You could even pick up some edible gold dust or pink glitter..
After deciding that I wanted to make “unicorn popcorn”, my google search brought me to this site, BethCakes.com. 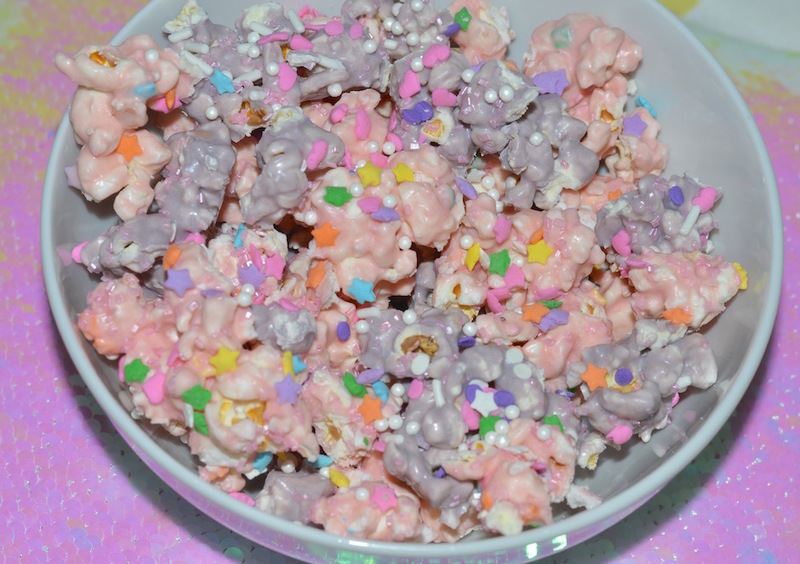 See full directions on creating this fun popcorn, here, factoring in whichever changes you want to make. 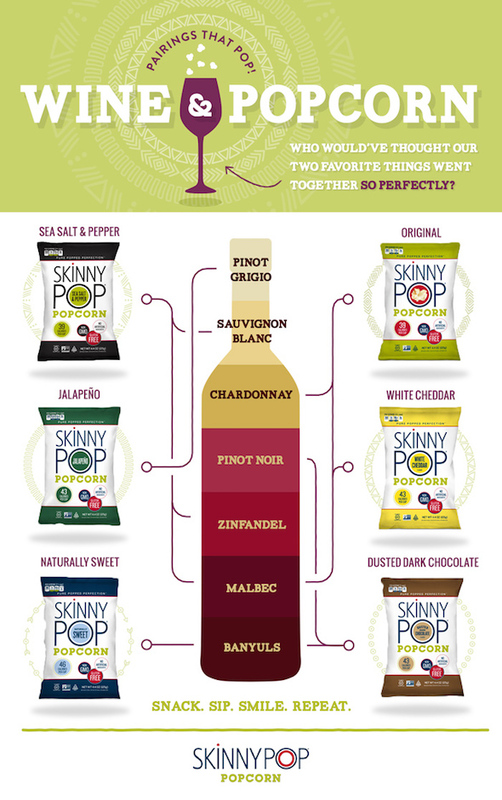 *Also check out SkinnyPop’s wine & popcorn pairing chart at the bottom of this post. The “dusted dark chocolate” pop with red wine sounds so noms! !